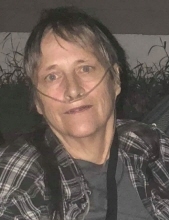 Carol Sue Simpson, 60 of Keokuk, IA died Thursday, January 31, 2019 at her home. She was born December 26, 1958 in Keokuk, IA the daughter of Alfred and Charlette Elaine Bird Bowen. Carol had been employed at Henniges Automotive in Keokuk until her retirement. She loved animals and had three four legged companions that were always by her side. She enjoyed spending time outdoors gardening. Carol was handy at fixing things and was a very independent lady. Carol is survived by two daughters, Christie Mortimer of Keokuk and Brandie Broadwell (Matt Gerdes) of Keokuk, one son, Bryan Simpson, ten grandchildren, Britini Simpson, Larry Simpson, Michael Simpson, Tracy Simpson, Drake Simpson, Haylee Altgilbers (Devon), Jensen Broadwell, Abigail Broadwell, Allison Gerdes and Greyson Gerdes, one sister, Penny Ford (Tom) of Ames, IA, one brother-in-law, Steven Yates of Luray, MO and many nieces and nephews. She was preceded in death by her parents, two brothers, Ron Bowen and Mark Bowen and one sister, Beverly Yates. A Gathering of Remembrance for family and friends was held from 4-6 p.m., Wednesday, February 6, at the Vigen Memorial Home in Keokuk, IA. "Email Address" would like to share the life celebration of Carol Sue Simpson. Click on the "link" to go to share a favorite memory or leave a condolence message for the family.